Fluctuating winter temperatures can be super-annoying when it comes to outerwear. 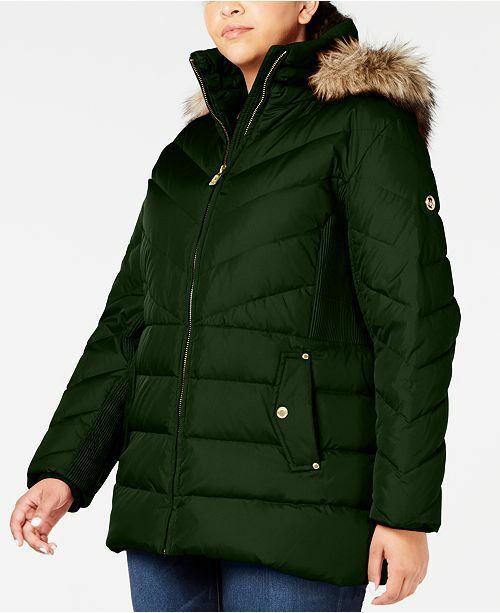 One day, a peacoat is perfectly fine, but the next, you need a full-on puffer. Since the first day of spring isn’t until March 20, you’re gonna need some stylish ways to keep warm. 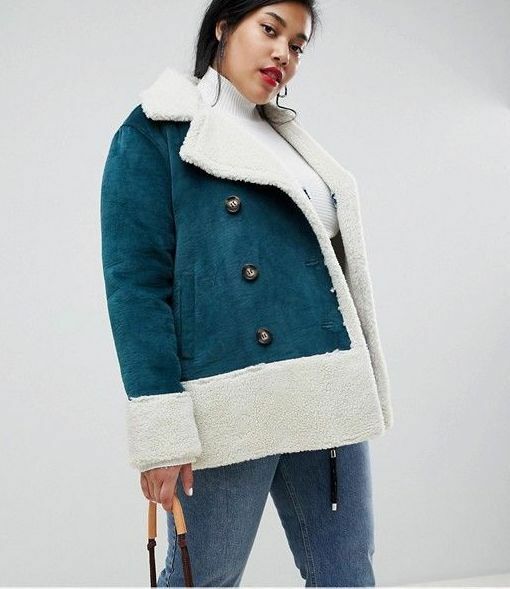 Whether you’re dealing with a light chill or a serious blizzard, there’s a cute plus-size coat on offer that wants to help you get through it — and do so as stylishly as possible. When all anyone sees as you walk down the street are your shoes and your outerwear, you want to make sure you’re giving a fashionable first impression. And frankly, that coat you’ve been wearing since ninth grade just isn’t gonna cut it. Look, we get it. Wearing plus-sizes can unfortunately limit where you shop. 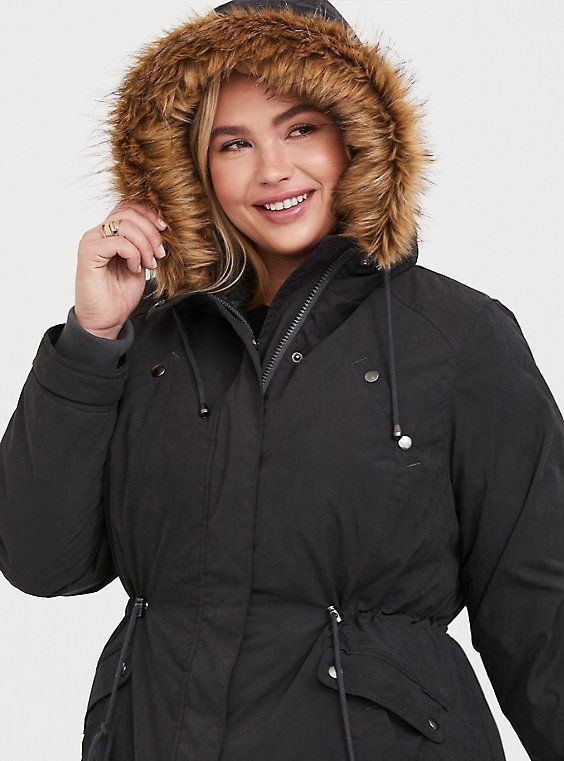 But cute plus-size coats do exist, and they’re begging for you to wear them. There are a lot of factors that go into finding the perfect coat. (We’ve tried on so many coats that were too snug in the arms or didn’t button all the way.) You want to be able to wear several layers underneath just in case it’s freezing outside. 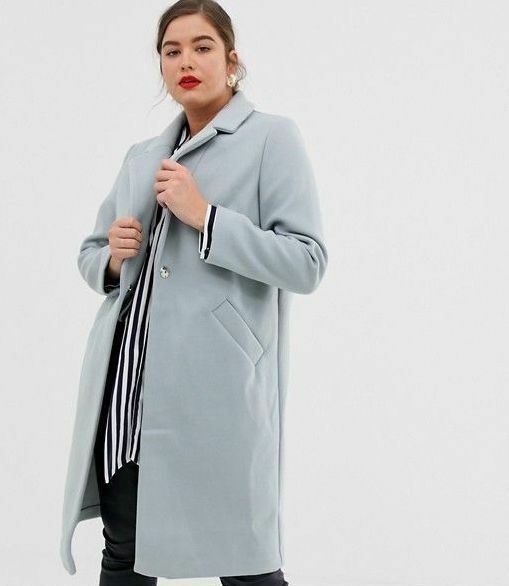 You want to be able to wear the coat with more than just one outfit. You want to be able to wear the coat open and closed. 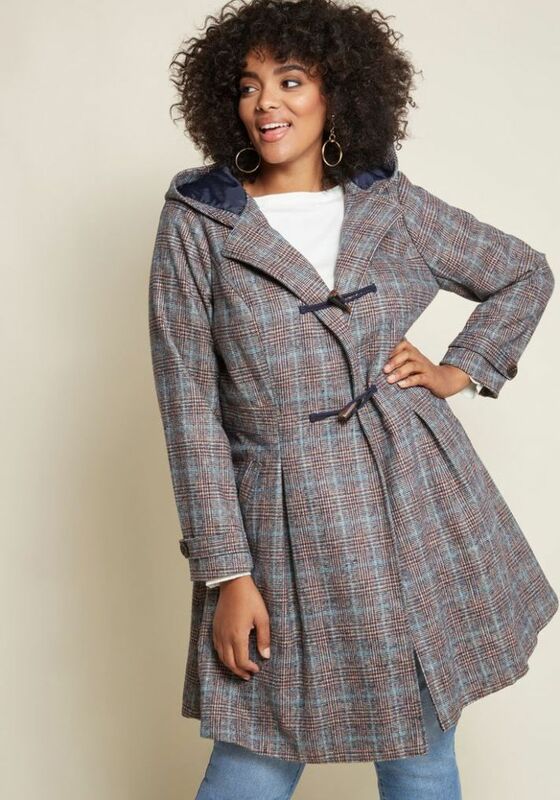 And, on top of all that, you want the damn coat to actually look cute! That’s a lot to figure out on its own — which makes the whole brand-not-carrying-your-size thing all the more disheartening. 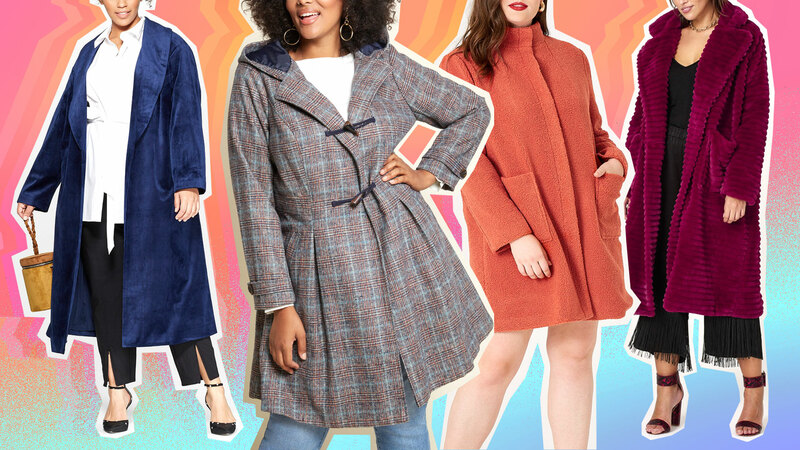 Perk up, babes, because we’ve rounded up 21 actually cute plus-size coats that will have you looking and feeling your best while we all wait for spring to come. No matter the temperature or occasion, you’re guaranteed to stay warm and stylish all season long. 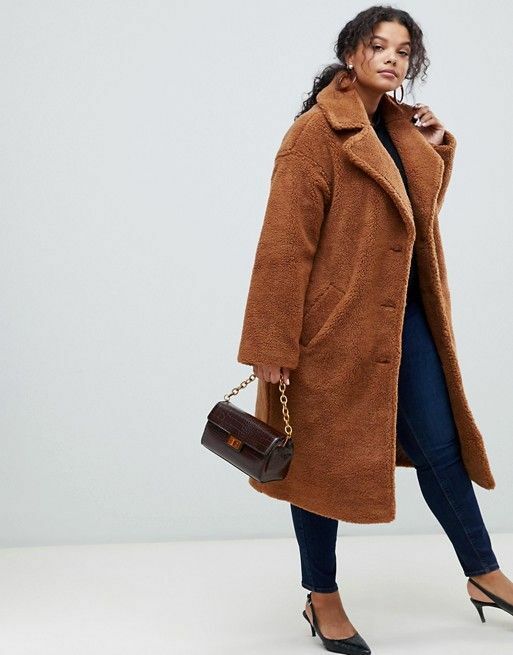 This coat is perfect in every way. 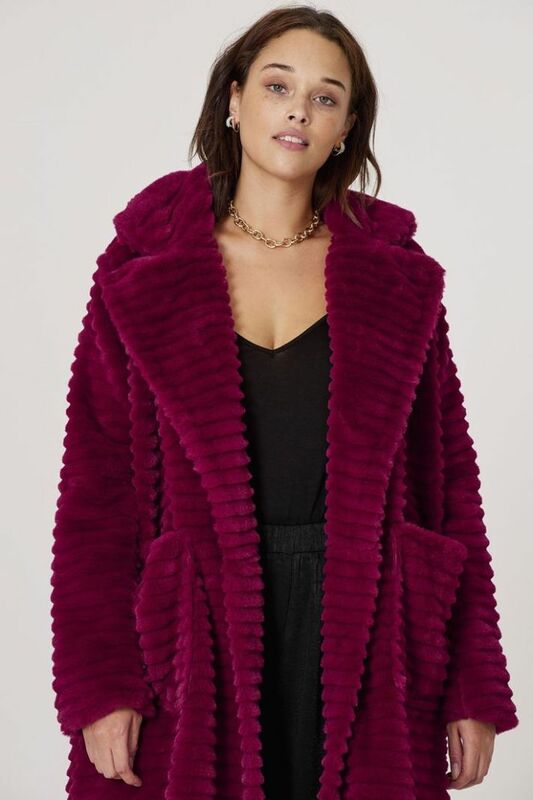 A velvet overcoat? Someone has been reading our diaries. 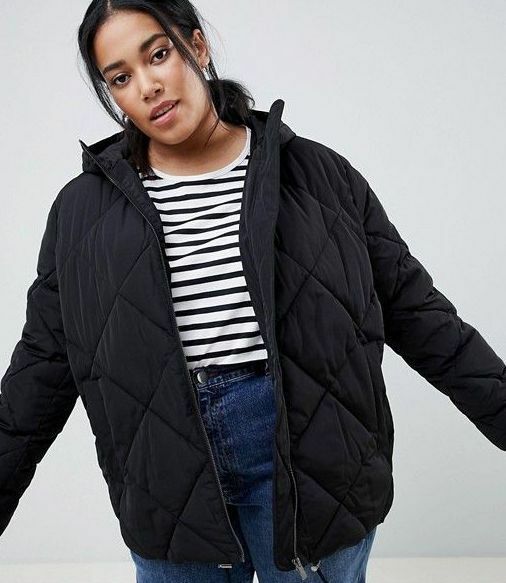 Not all puffer coats are shapeless. It’s like wearing your favorite childhood teddy bear. 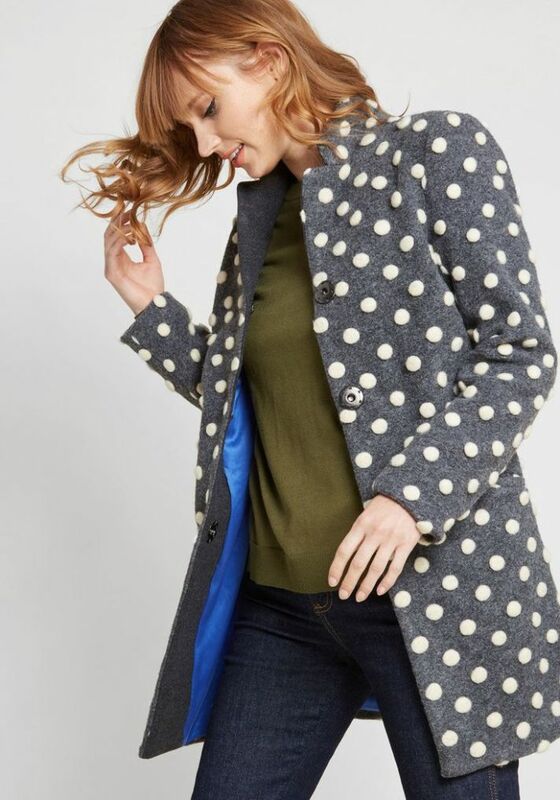 You can never go wrong with polka dots. 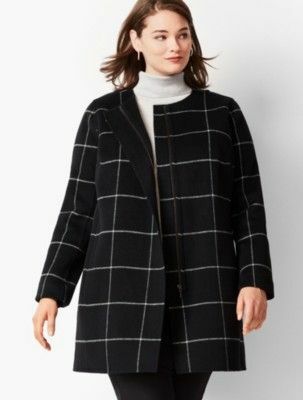 Pretty sure we saw this coat on an episode of Gossip Girl. 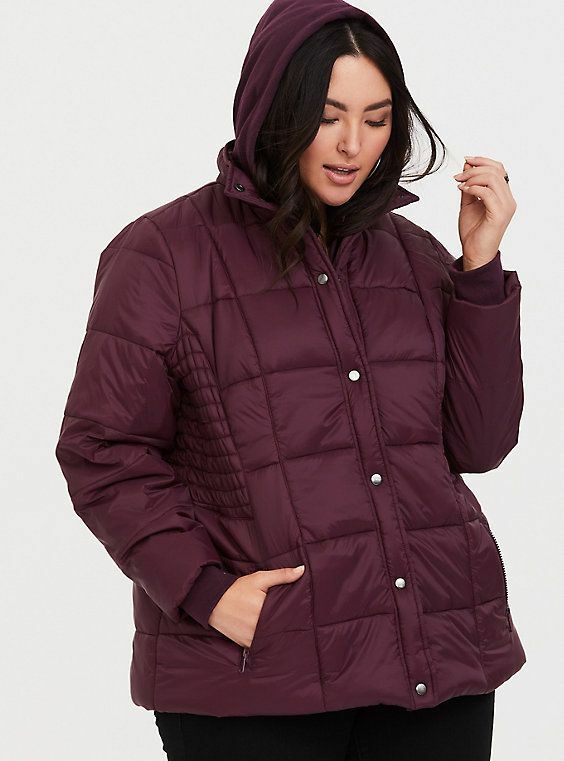 The details on this puffer elevate it to new heights. You would stun in winter white. Fleece-lined is code for cozy AF. This could be from Cruella De Vil’s faux-fur line. A stylish twist on the classic black topper. 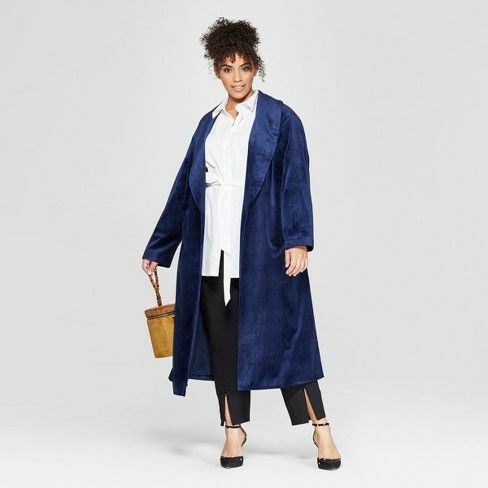 It’s a robe you’re allowed to wear outside. Yes! 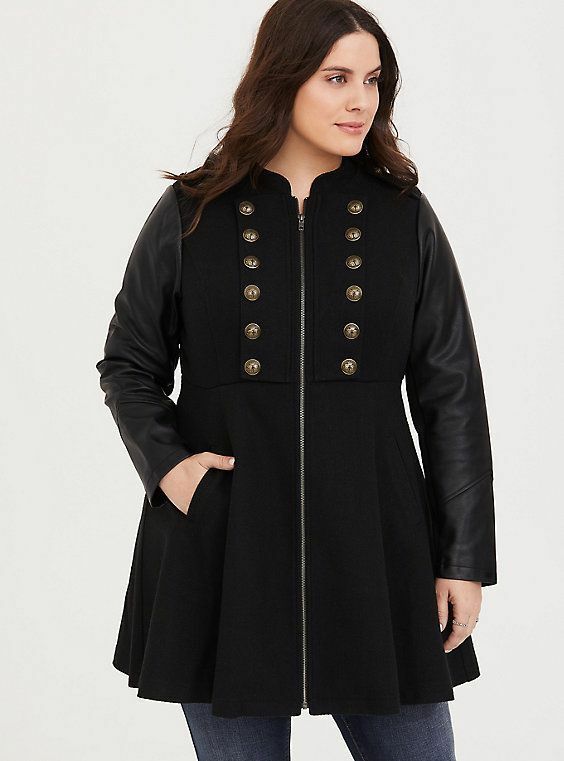 The buttons on this coat are just super-cute. A simple black puffer doesn’t have to be boring. 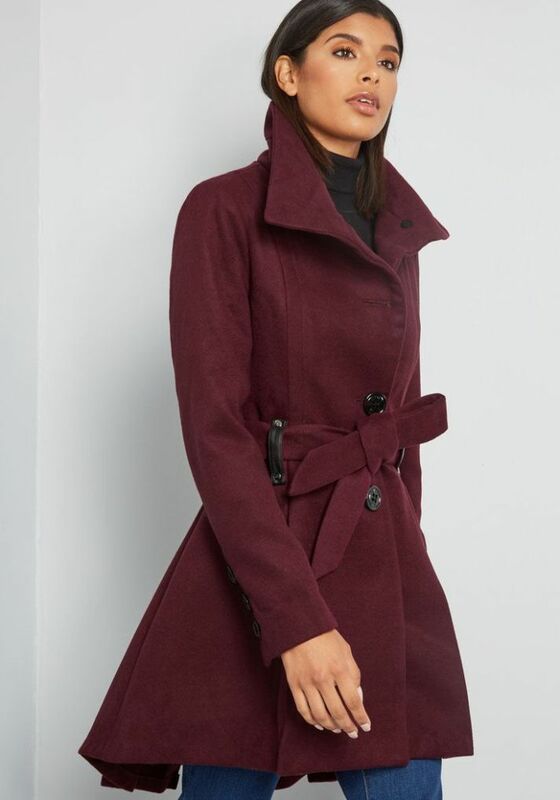 The military coat is always so classically chic. 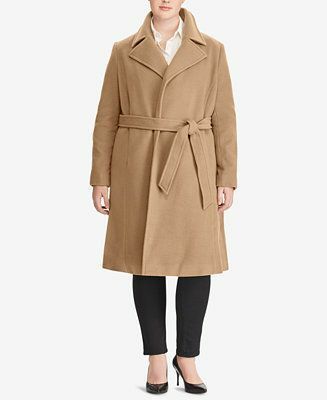 The coziest of trench coats. 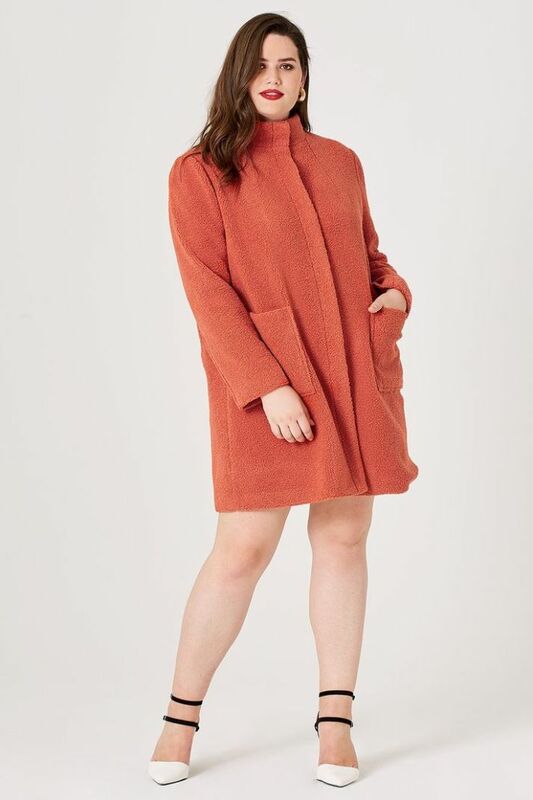 With a funnel neck, you don’t even need to wear a scarf! We’re loving this berry color for winter. Powder blue looks good on top of almost any outfit. 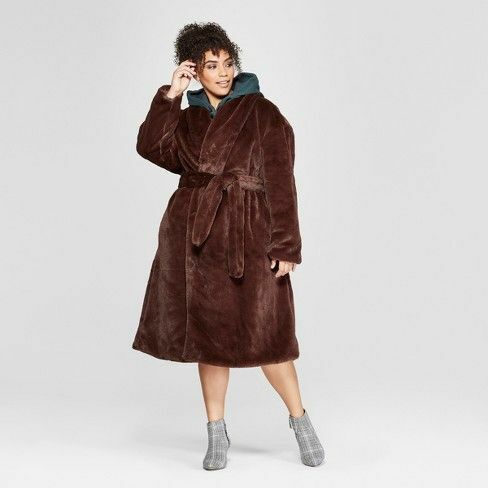 Show off your wild (but also warm) side.